Property Sales Brochures – To Print Or Not To Print…. 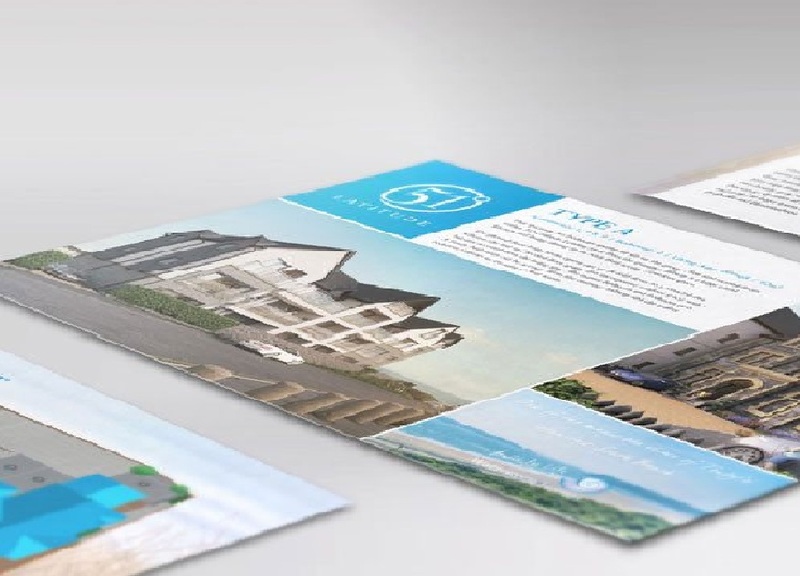 When creating a unique and memorable brand, it is vital to consider how the concept could be applied across the brochure and other property marketing material. Will it translate to print, web, apps, social media, marketing suites? If the brand cannot be effectively rolled out in these formats, you might need to re-think. The design of the brochure needs to reflect the specification and finishes of the development. Ensure all floorplan drawings, dimensions and specifications are correct and current. Any discrepancy could be off-putting to a buyer. Purchasers are unlikely to pour over the fine detail of a specification until they are ready to sign on the dotted line, however, a powerful image will stay in their minds until they move in. It is therefore important to use only high end photography and CGIs that portray the architecture, internal finishes and local area in the best possible light. Content should be eye-catching, easy to digest and useful. Location remains key, so your brochure should sell the area as well as what makes your development unique. Is it the architecture? The views? The lifestyle? Turning to visuals as often as possible can work wonders – use maps, floorplans and more! And don’t forget the essentials: dimensions and travel information could make or break a property for a purchaser. Finally make sure you tell them who you are and why they should buy from you. Keeping the brochure to the point will whet a buyer’s appetite for more and keep your costs down too. Include all the key information but consider your target market carefully, whilst one type will want to know about schools and community, another might be more interested in nightlife and lifestyle. The print finish can be the cherry on top of the cake. It needs to reflect your branding and look professional and inviting. There are literally hundreds of combinations of paper stocks, print effects and formats you can try. A good designer will liaise with a printer to lay out all the options and send examples before you commit. At iCreate, we offer complete property marketing solutions from website and brochure to CGIs and 3D fly-throughs. Get in touch to see what we can do for you. 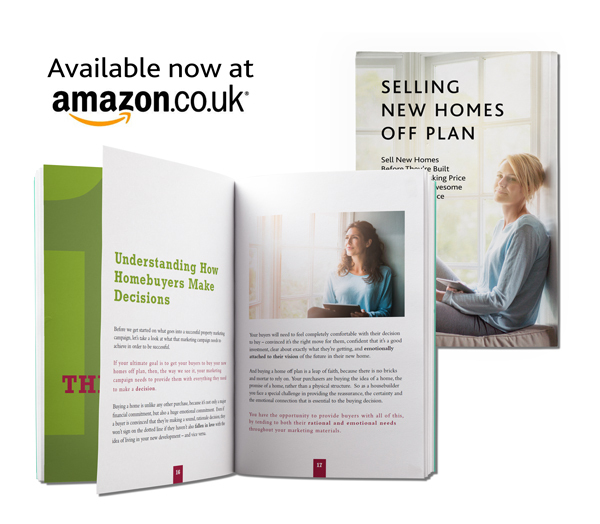 We’ve written a book about Selling New Homes Off Plan, which is a practical guide to off plan property marketing, written with an understanding of how people make their purchasing decisions. You can download a PDF version of the book for free from our website, or get the Kindle or paperback version on Amazon.